We've all heard news stories of a messy divorce, and have even witnessed it within our circle of friends and acquaintances. What prevents a divorce from becoming contentious? There are many answers, including a willingness to work together and to approach the divorce like a professional. Another key component is truly understanding, in advance, what actually happens after a divorce. Here is a rundown of some important aspects of that. Alimony, also known as "spousal maintenance," is money paid by the higher-earning spouse to help the other spouse to maintain a reasonable lifestyle after the divorce. In Colorado, there is a specific formula set out to determine alimony, based on a number of factors including the supported spouse's earning ability, the length of the marriage, the supporting spouse's income, and the lifestyle that both spouses were accustomed to during the marriage. A rough guideline of how alimony is figured is to subtract the lower-earning spouse's monthly gross income from 40 percent of the total combined monthly gross income of both spouses. If the number is positive, the difference will be around what the monthly maintenance amount will be. If the number is zero or negative, then no spousal maintenance will be ordered. After the divorce, you will have a set amount that you will have to pay monthly in order to help your spouse maintain a reasonable lifestyle, or you can expect to receive this amount. The amount will be based on established state guidelines, ensuring that it is fair. The law is clear that children are to receive financial support from both parents. Support received from the non-custodial parent is referred to as "child support." Child support isn't determined for the purpose of destroying the financial stability of either parent. It is, rather, an acknowledgement that raising children is difficult and expensive, and one that requires assistance from both parents. There are state guidelines to determine the amount of net income that each parent should contribute in order to meet the needs of the child. While the judge can set an amount different than that which is recommended in the guidelines, based on the best interests in the child, generally child support is determined in light of these guidelines. Child support is usually paid until the child reaches the age of 18, though there are conditions which may cause child support to end early, such as: emancipation, military service, or the child gets married. After the divorce, if you are a non-custodial parent, you can expect to pay 20 percent of your net income for the care of your child, and approximately 6 percent for each additional child. If you are a custodial parent, you can expect to receive this amount. The amount you pay is a percentage of your income, so the dollar amount may go up or down, depending on the amount of income you have in the future. Often one of the hardest decisions in a divorce, and certainly the one with the longest impact, is determination of child custody. The determination of parenting time and the creation of a parenting plan is one wrought with emotion. However, it is important to avoid approaching the issue with the attitude of one parent being the "winner" and the other being the "loser." In truth, a parenting plan provides for both parents to have a part in raising their child in accordance with the best interests of the child. In determining the best interests of the child, there are a number of issues to consider. What is the relationship of each parent with the child, and does the child have a preference (if age appropriate) as to which parent he or she wants to live with? Where is each parent located, and which of these locations best serves the needs of the child? What is the investment that each parent has made toward childcare responsibilities in the past two years, and which parent is in the best position to actively advocate for their child's needs now and in the future? After the divorce, your child may be spending more nights under your roof, or more nights under your spouse's roof. He or she may have holidays or weekends with the other parent. All of the details of how you and your spouse are sharing responsibilities of raising your child will be spelled out in the parenting plan, with as much detail as possible so as to avoid future conflict. If you and/or your spouse own a business, Colorado law requires the assets of that business, like all assets within the marriage, to be divided in an equitable manner. This does not necessarily mean that the business must be sold and the proceeds divided evenly. It doesn't even mean that the division of assets will be precisely equal. It means that the division will be fair. In order to obtain a fair division of business assets, the business must be fairly valued through an examination of all documents, including tax documents and receipts. Professional handling and consideration of the best way to divide these assets can be established through mediation. After the divorce, you may be running your business or your spouse may be running the business. As a result of the divorce, you may be in possession of other personal assets or a monetary award that is equal to your share of the business, or your spouse may be. The determination of how to best create an equitable division of business assets is not a black-and-white matter, but rather a matter of creating a division that works best for both you and your spouse. Another potentially contentious issue in divorce is the division of financial assets such as retirement accounts, stocks and bonds, and investments. These assets often represent contributions from both spouses during their most productive years in order to develop a nest egg that will provide security in retirement. While the liquidation of these accounts and an equal split of the proceeds is one option for dividing financial assets, it isn't the only option. Other options can be explored, however, based on the dispersal rules governing these accounts. After the divorce, you will have a court-approved qualified domestic relations order that deals with every aspect of how these assets are to be split in order to achieve the best possible outcome for both parties involved. Divorce is difficult. There are so many emotional decisions to make. Our uncontested divorce process can make things easier. From the initial, free phone consultation, mediation preparation and two-hour mediation sessions that are professionally facilitated by our attorney mediator, you and your spouse will prepare all of the documentation you need to finalize your divorce and begin your lives after the divorce with the security of knowing that things were done right. We will ensure that you know what you're signing before you sign it, and court acceptance of your documents is guaranteed. Contact Split Simple today to begin the process. 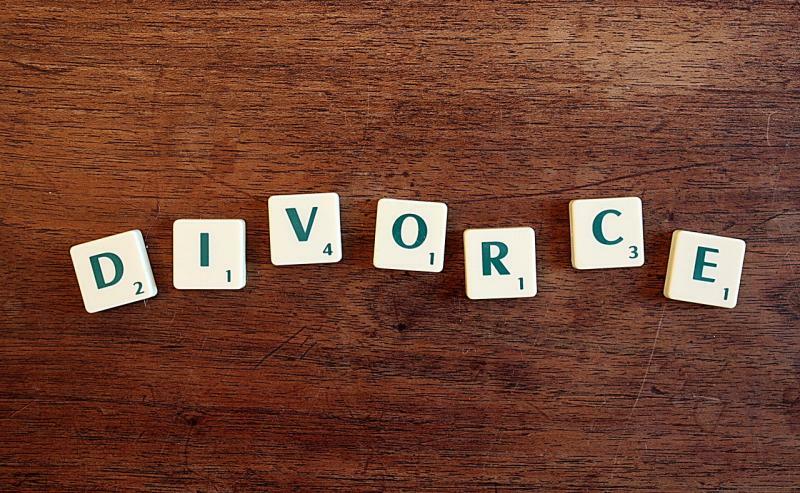 Previous Post « What is the Difference Between Divorce, Separation, and Legal Separation?